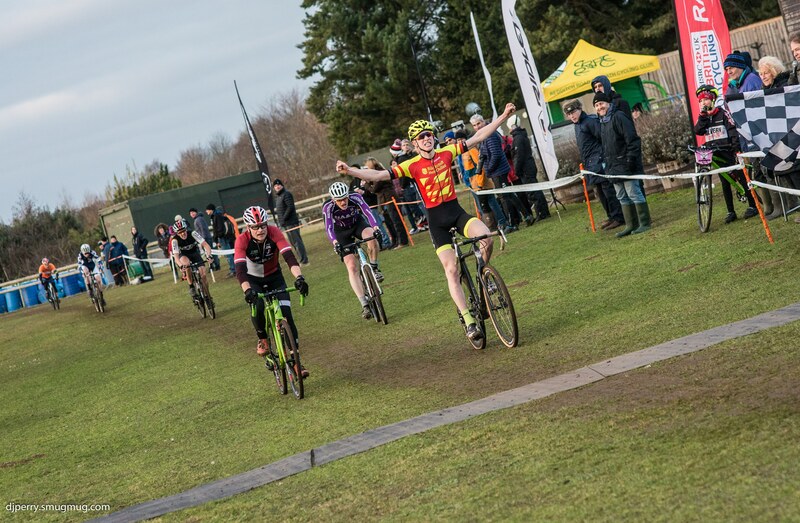 JUNIOR Lewis Askey and former World Champion Evie Richards took the senior men’s and women’s races respectively at the inaugural West Midlands Championships. Askey, 16, from Cannock was challenged all the way by fellow junior Toby Barnes after an exciting race on the fast Top Barn circuit, near Worcester, while local rider Richards was too strong for her rivals. Racing returned to the Lakeside venue with an open and wind-swept course which took riders on the adjacent banks and fields. Team Backstedt/Hotchillee youngster Askey was joined by Barnes (Lichfield City CC) from the outset and the two traded blows as their rivals behind faded away. With three laps of the nine remaining Askey attacked and pulled out an 11 seconds lead as he looked bound to take the victory. However, Barnes responded on the final two laps and reeled Askey back to five seconds by the finish. 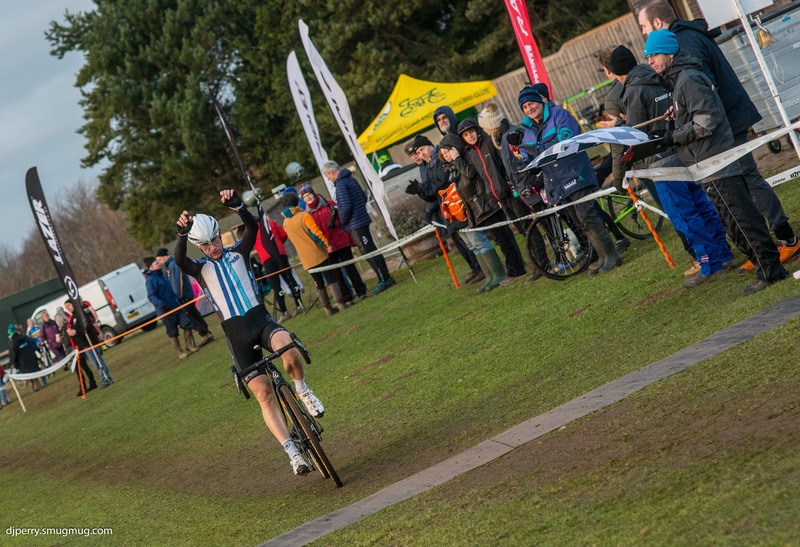 Local rider Ross Harnden (Malvern Cycle Sport) led the seniors home in third place after winning a close battle with juniors Harrison and Jacob Knight (Solihull CC) and first under-23 Ewan Grivell-Mellor (Mid Shropshire Whls). Just eight seconds separated the four riders battling for third. “It was a tough course with a strong wind going straight across and there was no covering with trees on anything,” said Askey. “It was brutal, I didn’t feel great and Toby (Barnes) was going well so I thought I would have to push on in the mid-part which is when I got that break. “Normally Toby drops off then but today he was clawing me back and it was tough all the way to the finish. 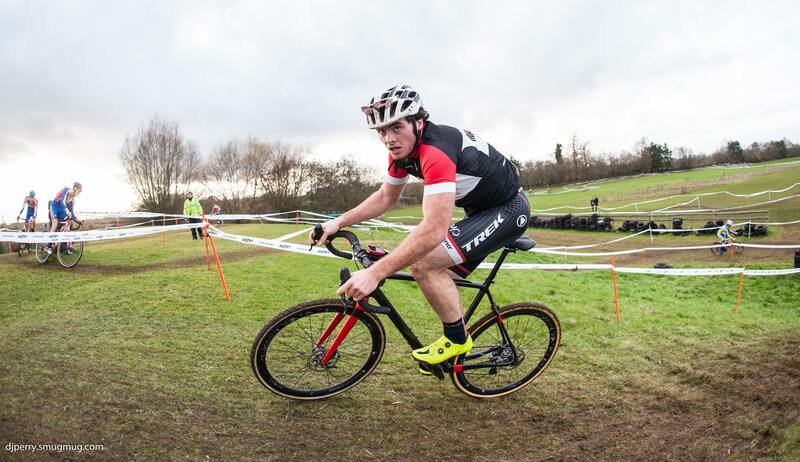 Askey suffered bad luck last weekend in the fourth round of the National Trophy after a crash while in the leading group dashed his chances of victory. He added: “Last weekend was frustrating as I had really good legs, was in right position and the course suited me. “Then coming into the steps I was hopping too fast and managed to write off a frame, so it wasn’t the best. 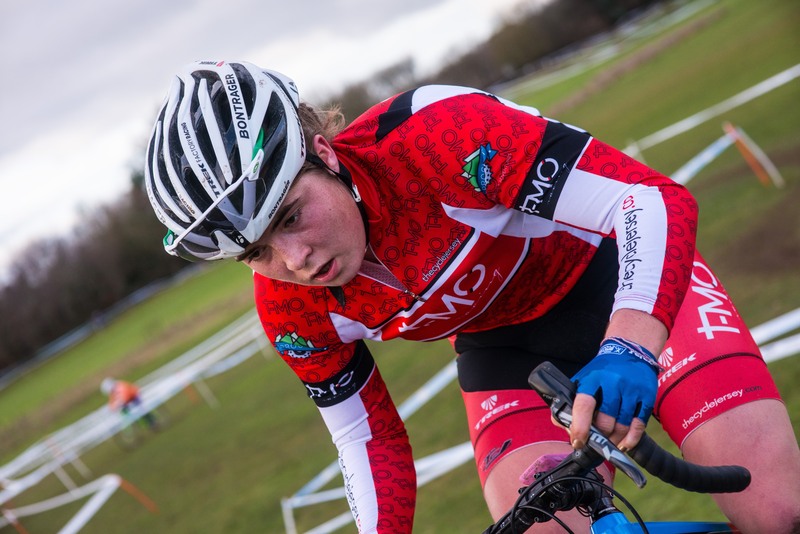 “Next weekend I’m on a cross camp with British Cycling so we’re riding two races and then a week training so that will be good for me. Darren Atkins (Ride Coventry) was fastest veteran over-40 after a race-long battle with Ed Moseley (Malvern Cycle Sport) with Atkins just proving the strongest on the final lap. Ride Coventry team-mate Colin Miller led the rest of the veterans home in third. Trek Factory Racing star Richards made her first appearance of the women’s series and took the lead from the start before increasing her lead lap by lap. Fellow Malvern based rider 16-year-old Harriet Harnden (T-Mo Racing) was Richards closest challenger finishing two minutes behind. 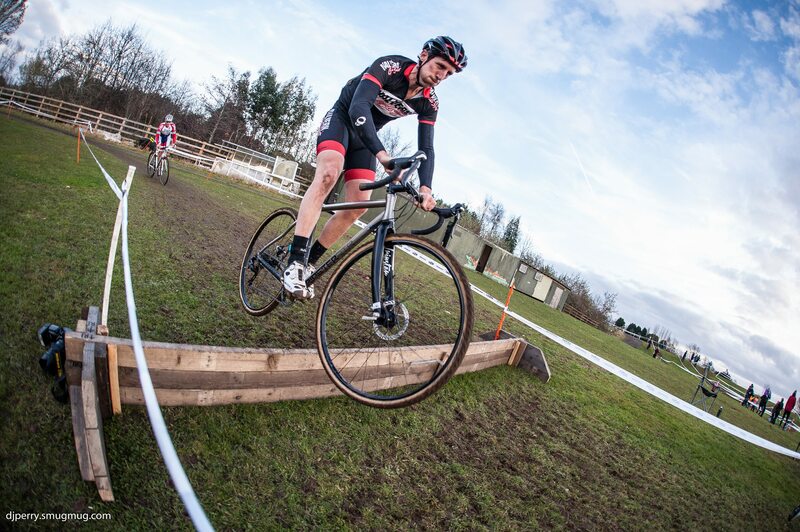 Joanna Clay (TORQ Performance) took third ahead of last week’s winner Lauren Humphreys (Aspire Bicycles/HSS Hire). Ludlow-based veteran Isla Rowntree (Islabikes) took the veteran women’s victory ahead of Karen Summers in second and Amanda Whitehouse (Stourbridge CC) in third. “It was really nice to be back on the back as I have had illness and injury so haven’t been on the bike in around two weeks,” said Richards. “To be able to ride and not have any problems has been really good and to race is even better. I meant to start back earlier but kept having problems so it was so good to be back for my first race and will carry them on now hopefully every weekend. 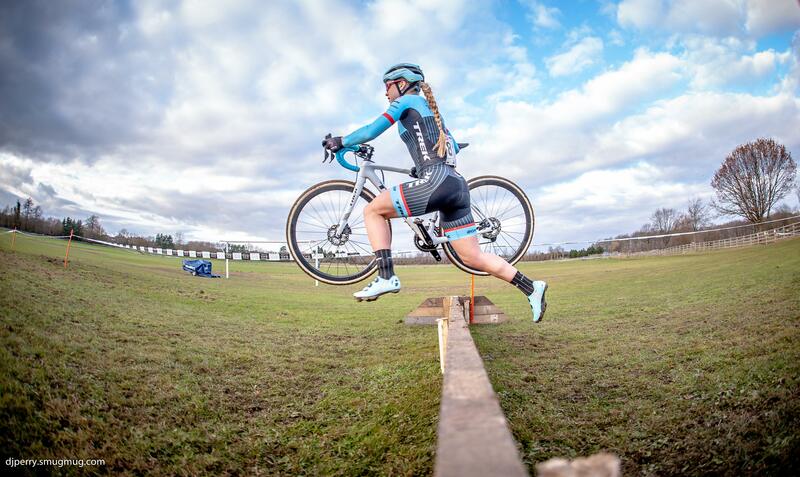 “I would love to position well at the Cyclo-Cross World Championships again but it’s going to be a busy year with hopefully the Commonwealth Games and Mountain Bike World Championships so lots of aims this year. “I have signed for Trek which is mainly mountain bike focused but they will support me in cross and I love cross but mountain bike is always the focus. “I’m heading out to Belgium on Friday and will hopefully do four races in the next two weeks. I was really nervous today as I haven’t been riding as much I wanted to and with it being a local race. Philip Roach (Team Jewson MI Racing) proved a surprise victor in the veteran’s over-50 beating team-mate Stephen Knight. Roach, who finished 23rd in Belgium at the World Masters Championships earlier in the week led from the start. He was initially joined by West Midlands series leader Knight and Mark James (Team Jewson MI Racing). However, on the second lap Roach proved too strong leaving his team-mates before Knight then gapped James for second place. One of the closest races came in the youth event with Lichfield City CC trio Daniel Barnes, Emile Alexander and Matthew Kingston grouped together on the fast course. With two of the five laps remaining Barnes edged out a gap which grew to seven seconds by the finish ahead of Alexander and Kingston in third. Ben Askey (RST Racing Team) made it a double victory for the Askey family riding clear in the final two laps of the under-14s race. He was joined throughout the early and mid-race by Sullivan Berry (Redditch Road & Path CC) before edging out a 20 seconds victory in the closing stages. 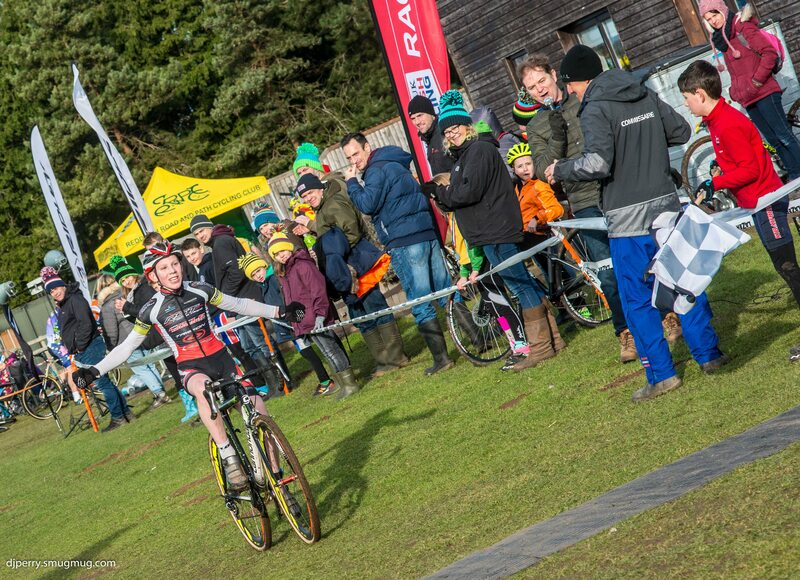 After taking victory in the National Trophy last weekend under-14 rider Grace Lister (Wolverhampton Whls) was crowned West Midlands Champion by winning the girls race. She managed to gap first under-16 Lucy Hart (Mid Shropshire Whls) in the latter stages of the race. After dominating the league so far Spencer Corder (Stratford CC) also sealed the regional title in the under-12 event while Cerys Greaves (Mid Shropshire Whls) was comfortable winner of the girls. George Cooper (Pines Cycles Enve) led from the outset to claim victory in the under-10s and Rose Lewis (Halesowen A&CC) was first girl. In the under-eights Louis Inman (Bolsover & District CC) continued his good form by taking victory while Rose Neely (Solihull CC) won the girl’s category. Finally, in the under-six category Benjamin Gilmour (Redditch Road & Path CC) road to a clear win.